This exemplary modern city was founded in 1531 by Fernando de Tapia an Indigenous chief that worked for the Spaniards. Querétaro has become an industrial and commercial center, but has preserved its beautiful and well-kept historical center well worth visiting. The city is known for having the best and most beautiful aqueduct from the 18th Century. Franciscan friars from Querétaro, like the famous Fray Junipero Serra, founded Cities as well as Missions in California USA. 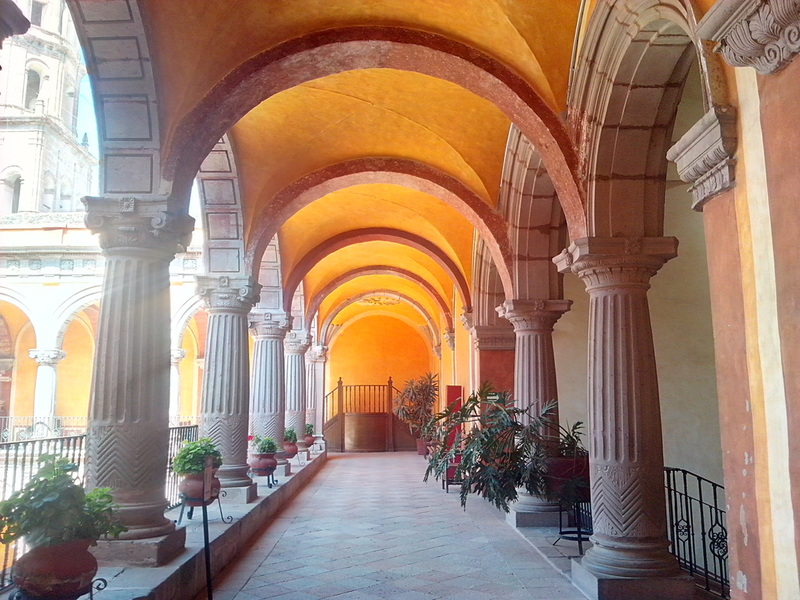 Querétaro is the place where the empire of Archduke Maximillian of Hapsburg ended in 1867 when he was defeated in the Franciscan Monastery of La Cruz. No groups to join in the month of October. Only private tours available any day you want. Tours can be scheduled any day of your choice. Transportation and English speaking tour guide. Tour does not include entrance fees to museums or lunch. Flexible itinerary. Please make reservations in advance. Seven hours round-trip tour. Our van picks you up at 9:00am at your home. The drive from San Miguel to Querctaro takes one hour. Our first stop would be the 18th Century aqueduct and its lookout. We then could visit the cemetery where the most illustrious historical characters of Querétaro are buried. Then, a visit to the Franciscan Monastery of la Santa Cruz. We encourage people to visit the Regional Museum that is found inside an amazing 17th Century monastery. Santa Clara de Jesus church has the most overwhelming gold churrigueresque altars in the region. Lunch is scheduled for 1:00pm at Restaurant 1810. We return to San Miguel right after lunch and arrive at 3:00pm.